The Standards for Dance in Early Childhood provide parents, care-givers, teachers, and administrators guidelines of what children should know and be able to do each year from birth through five years of age in the arts-making processes of Performing, Creating, Responding to, and Interconnecting dance to life and other disciplines. The developmental progression of the standards is based on neurological development, motor development, social development, and cognitive development as well as artistic learning. These standards are outlined by age, arranged in a progressive chart, and listed in a rubric for assessment purposes. For more information, see How the Standards are Organized. The Standards for Early Childhood are founded on fundamental beliefs regarding the role dance can and should play in the development and learning of young children. These standards uphold the vision that all children have a right to enjoy dance and that they will receive numerous benefits from participation in dance education. To learn more about the beliefs that shaped these standards, see Philosophy. The Standards for Dance in Early Childhood were designed to be used by different people for different purposes. Some of these diverse purposes are outlined below. The standards provide general goals for dance learning from which educators and administrators can develop objectives for a more specific curriculum. They outline a well-balanced range of dance experiences and list the content and skills appropriate at each level of achievement. Learning dance involves a graduated sequence of movement experiences. The standards provide a very general developmental progression of goals and objectives. The standards provide a foundation from which creativity in the classroom or studio can spring. They are purposely generalized, so that individual teachers or localities are at liberty to design creative curricula based on community values and beliefs. The use of standards has been criticized as inhibiting to creativity. On the contrary, application of the standards is limited only by the scope of the goals, the objectives of the curriculum designed, and the creativity of the individual teacher. The standards also provide a guidepost for assessment by defining general expectation levels. The structure to assess student achievement is implied in the creation of standards. For this purpose, a rubric is developed for each of the Content and Achievement Standards. This rubric can be used to assess student development by either showing a portrait in one point in time, or through a series of progressive reports. The standards help both teachers and students understand the learning embedded in dance and movement experiences. Research has demonstrated that, while movement for children can provide many connections to content in dance and other disciplines, conscious and explicit reference to these connections must be provided for the learning to be understood and retained (Caterall, 2002). An understanding of the standards can help teachers recognize the knowledge that the children are internalizing. It will help focus an approach to the learning of dance and the dance of learning. Inform teachers and parents of excellence in dance education. 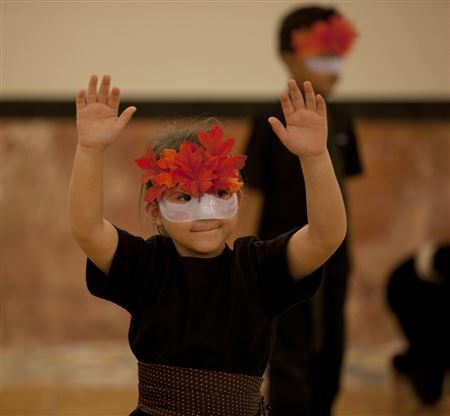 Learn age-appropriate development in dance. Develop course curricula or syllabi. Inspire creative ideas for choreography. Understand the learning expectations of their dance education. Connect dance education experiences to other avenues of learning and life.